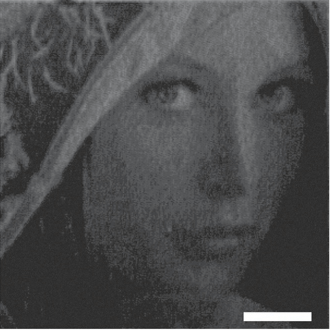 The printable resolution is visible lightDiffraction limitIts value is determined by about 100,000 dpi. 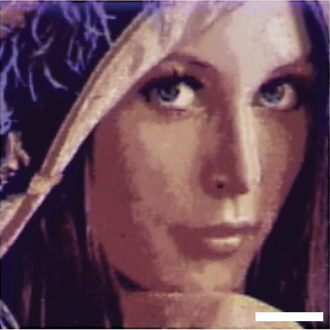 However, with such a method of blending a large number of dyes, this limit can not be reached very much, and the limit of inkjet printers and laser printers is about 10,000 dpi. 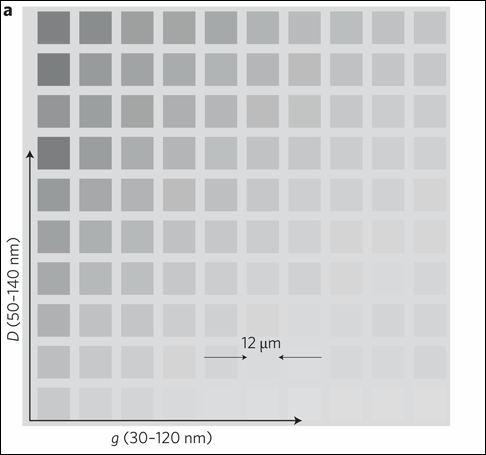 In the first place, it is impossible to identify objects smaller than 20 × 30 μm (micrometers) for human eyes,In the case of an optical microscope, its resolution limit is about 0.2 μmIt has been with. However, Karthik Kumar's collaborative research has developed a printing technology that is comparable to the resolution of light diffraction limit, not depending on dye. This paper will be published in "Nature Nanotechnology". This is how it works. Two pixels with 4 nanodisk are placed in close proximity. 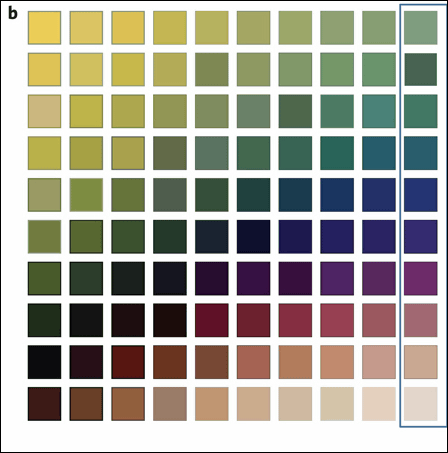 When white light is applied to it, the wavelength of light differs depending on the color depending on the diameter (D) of the nanodisk and the interval (g), so that different colors are reflected on each. 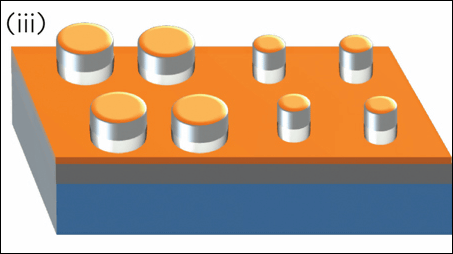 Instead of printing with pigments or dyes sprayed there are fine nano-unit protrusions (nanodisks) on the surface of the metal nanostructure,Surface plasmon resonanceThe color is determined by. 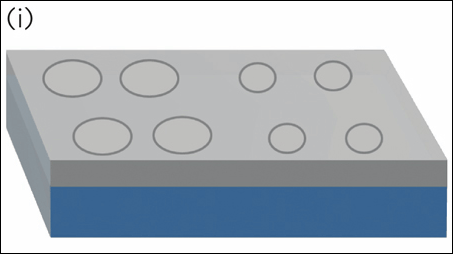 To make this nanostructure, first coat the silicon substrate with HSQ (hydrogen silsesquioxane) with a thickness of 95 nm. 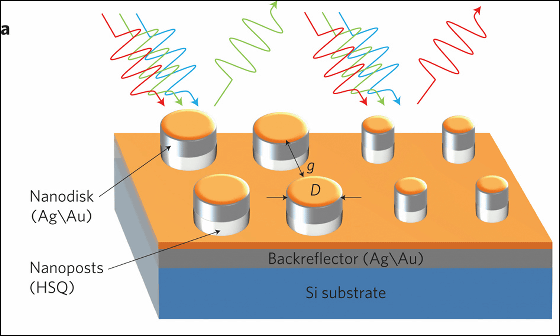 Coat with metal (gold or silver) deposited as a nanodisk and back reflector. Although the color is determined by the above-mentioned numerical values ​​of D and g, it becomes grayscale like this when you do not let the metal vapor deposition coat. 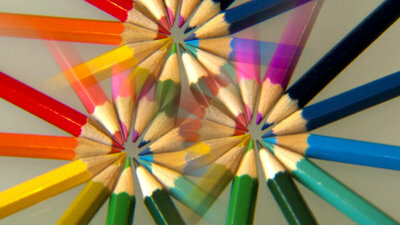 Deposition of metal makes it possible to express colors. actuallyImage sample "Rena"Those printed with gray scale, metal coated before coating. And after metal coated coat, color is a bit different from the original, but surely it is Rena. The length of the white scale bar displayed above and the lower right of this image is 10 μm. 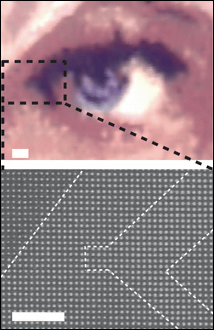 This is an enlarged view of the outer corner of the eye, the length of the scale bar is 1 μm. The research team is applying for a patent on this printing method. Since it is possible to print clearly even with an extremely small size and because it is impossible to rewrite it, it is expected to accumulate archive information, for example, and to write data more densely than ever in optical media such as DVD . 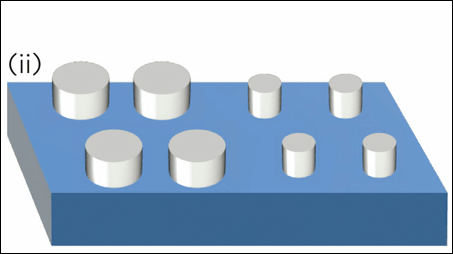 Technologies to increase DVD capacity 4.7 GB to 1,000 Terabytes appear, what is that mechanism?